Tomás Póil grew up on Inis Oírr — one of the three Aran Islands off the coast of Galway. Times were hard, treats were rare. 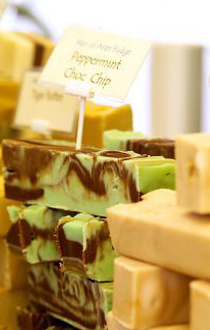 His grandmother made a toffee mixture like no other. 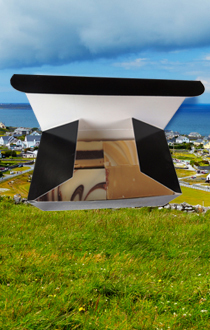 When he was sent away to school in Galway he treasured that taste. Time passed, the sweet memories of childhood never left him and now you can share them too. 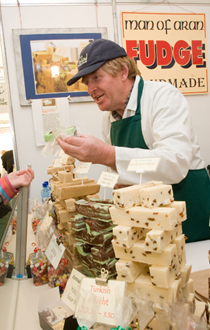 Tomás, the Man of Aran, makes and sells that very same original flavour today as Tiger Butter Fudge. 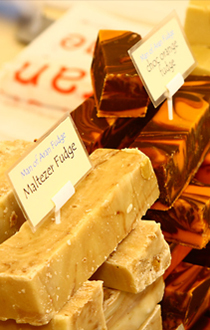 With 24 flavours in all there are plenty to choose from and almost all are Gluten Free.